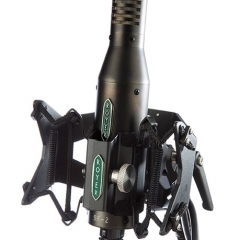 The SF-2 ribbon microphone is a phantom powered version of our original SF-1 ribbon microphone. 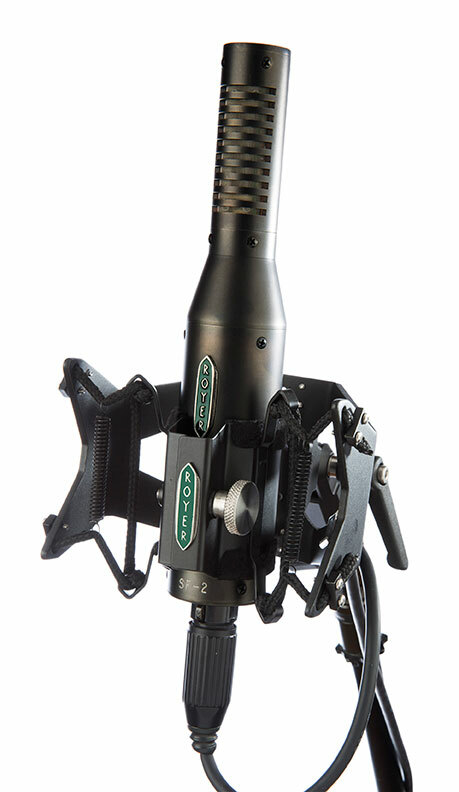 Designed primarily for classical applications and acoustic instruments, the SF-2 combines high-quality audio performance with our exclusive active electronics for ribbon microphones. The SF-2’s output of -38 dB puts its sensitivity on par with that of phantom powered condenser microphones, allowing it to be used with a wide variety of mic pre’s regardless of gain characteristics. The unique electronics and custom designed FET’s used in the SF-2 deliver ultra-quiet operation, with self-noise of lower than 18 dB. The SF-2’s magnet/pole piece transducer structure gives a wide, uniform frequency response with no substantial peaks or dips, and the 1.8-micron ribbon element delivers superb transient response. Frequency response is excellent regardless of the angle of sound striking the ribbon and off-axis coloration is negligible. Our Active Series ribbon mics are as sensitive as phantom powered condenser microphones, allowing you to use virtually any mic preamplifier or board pre. Conventional ribbon microphones are 15 to 30 dB less sensitive than condenser mics, necessitating the use of high-quality, high-gain microphone preamplifiers when recording quieter sound sources like acoustic instruments, vocals, room ambiance, etc. The SF-2 contains a fully balanced, discrete head amplifier system which utilizes a specially wound toroidal transformer and ultra-low noise FET’s to deliver a sensitivity of -38 dB. Even with extremely quiet sound sources, you’ll have enough level to drive any recording medium. The SF-2’s electronics create no additional self-noise. All of the SF-2’s higher output comes from its large, specially wound toroidal transformer which provides an additional 14 dB of ‘free gain.’ The phantom powered system operates at less than unity, adding no noise of its own. The electronics in the SF-2 provide a perfect load to the ribbon element at all times, allowing the microphone to deliver 100% of its full sonic potential regardless of the input characteristics of the following mic-pre. Due to its low-impedance output, SF-2’s can be used on extremely long cable runs with minimal signal loss. A proper impedance match is critical to the performance of ribbon microphones. Impedance mismatching loads a ribbon element improperly, resulting in loss of low end and body, lower sensitivity, and an overall diminished performance. With our Active Series ribbon mics, the ribbon element sees a perfect impedance at all times regardless of the preamp you choose, so its performance is never compromised by the effects of improper loading. In addition, the ribbon element cannot be damaged by phantom power, electrical glitches or miswired cables. Twenty prototype SF-2’s circulated in major studios and scoring stages for years before the microphone’s release. They were extremely well received in classical circles, where they excel on choir, piano, woodwinds, strings and many other applications. They were also well received in studios focusing more on acoustic instruments, singer/songwriters, etc. Absence of high frequency phase distortion. Recording Magazine - SF-2 Review by Paul Vkuk Jr.